Signia Pure 13 BT 3 Primax is a “made-for-iPhone” hearing aid that gives you high-fidelity speech discernment with true aid-to-aid communication for better awareness of your surroundings. You can now enjoy “better-than-normal” hearing (according to clinical studies) and direct streaming of calls and media from your iPhone. Pure 13 BT Primax has advanced features like automatic adaptive directionality, SpeechFocus, Tinnitus Management and discrete control from your iOS or Android based smartphone with the myControl app. 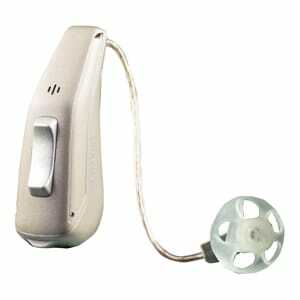 This product has been replaced by the Signia Pure 3Nx hearing aid. Click here to learn more about the Signia Pure 3Nx. Designed for people with a wide range of hearing loss, from mild to severe, the Signia Pure 13 BT Primax 3 is an RIC style, digital hearing aid that uses the size 13 battery. 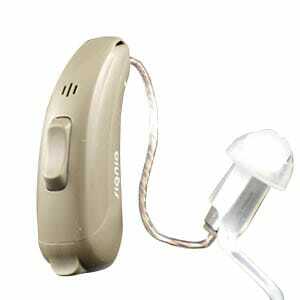 Signia Pure 13 BT Primax 3 hearing aids include a 3 year warranty PLUS loss and damage insurance. Also, each hearing aid purchase from Precise Hearing comes with a 45 day, 100% money back return policy – so your satisfaction is guaranteed.